Pakistan's Khyber-Pakhtunkhwa province government has announced a bounty worth Rs 10 million for information leading to the arrest or killing of Taliban chief Mullah Fazlullah, the mastermind of the Peshawar school massacre that left 150 people dead, mostly students. A combined bounty worth Rs 760 million for 615 militants and proclaimed offenders including Tehrik-e-Taliban Pakistan chief Fazlullah has been announced, provincial Information Minister Mushtaq Ghani said. 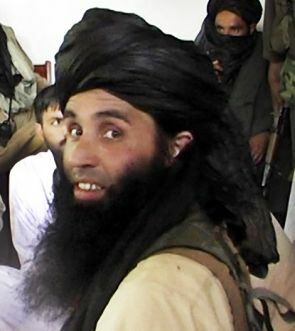 Fazlullah, 40, nicknamed the "Radio Mullah", is said to be in contact with the Peshawar attackers during the assault on the army-run school. He was the leader of the Taliban in SwatValley and became the Taliban chief in November 2013 after the killing of Hakimullah Mehsud in a US drone strike in North Waziristan. Pakistan army and US-led forces in Afghanistan have decided to target Fazlullah using drones. Ghani said the combined bounty also includes Rs 10 million for information leading to the arrest or death of Mangal Bagh, the chief of the Lashkar-e-Islam group. Pakistan has stepped up its campaign to wipe out terrorists from the restive northwest tribal areas in the aftermath of Taliban's Peshawar school carnage last month. A national action plan has been formed to deal with the menace of terrorism. Pakistan has also tabled two major bills in the national assembly to amend the country's constitution for creation of special military courts for speedy trial of terrorists in the aftermath of the deadly attack. The Pakistan army has intensified its offensive in the tribal areas. A six-year-old moratorium on the death penalty was also ended in terror cases in Pakistan in December. Seven convicted militants have been hanged so far since the ban on capital punishment was lifted by Prime Minister Nawaz Sharif.